Mr. Pelletan's rascal son Bébert son got another F for playing in class. 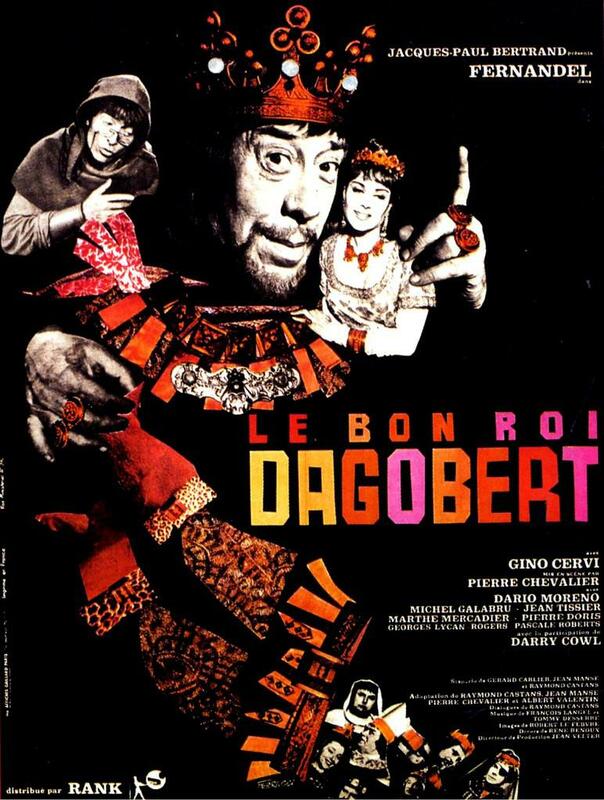 His punishment is an essay on the Merovingian king Dagobert. All they know is he had eight wives and reunited Francia. The ignorant knave's irreverent imagination turns that into a harem and a ludicrous war without armies, loaded with anachronisms, in a race against rival king Charibert for the crown of Reims. The king's right hand, archbishop Eloi, the later patrons saint of carpentry, is portrayed as an inventor.